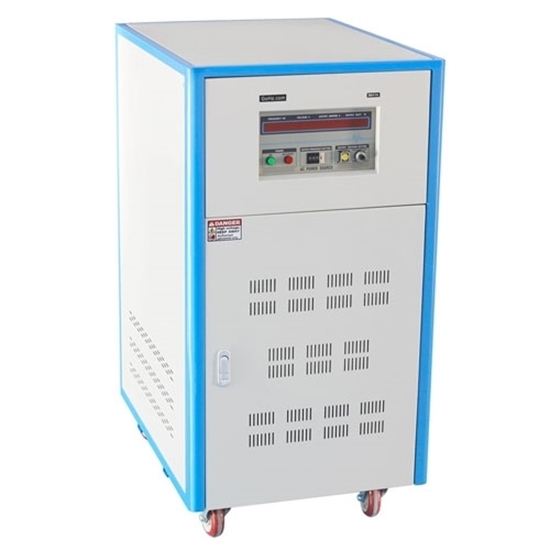 30 kVA single phase frequency converter, make your appliances compatible with international power systems, change single phase 240V 50Hz to 120V 60Hz (vice versa) in one step by inner step up & step down transformer. Ensure correct voltage control, conduct sequence protective action test. Pay attention to clean thoroughly the dust in the cooling air duct and air filter. Ensure that the balance of the output voltage during the separate operation of the frequency converter meets the standard. Guarantee the protection and display loop of the frequency converter to have no abnormal condition. Conduct one regular inspection of the frequency converter equipment every year. Inspect if there is any loose screw spike, plugin and other equipment components. Measure the waveform of the driving circuit to check if there is any distortion, if the UVW phase waveform is the sine wave. If it is allowed, the oscilloscope can be used to measure the stability of the switching power supply output voltage. It is required to wipe the conductor and insulator with alcohol in time, so as to ensure the cleaning degree.